We believe our purpose is to help our neighbor. 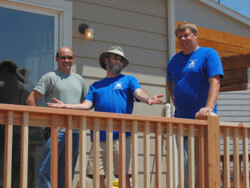 We have many opprotunities to serve the community and the world at large. Share your time and talent or suggest an event that the church might sponsor. 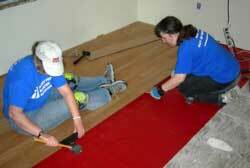 Anne and Cheryl laying a new floor in Houma, La. 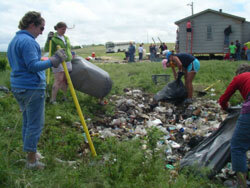 In 2008 VCPC sent a team to join in the work at Pine Ridge Reservation, SD.